Luxury resides on the south end of the Grand Strand, at 2007 S Ocean Boulevard. 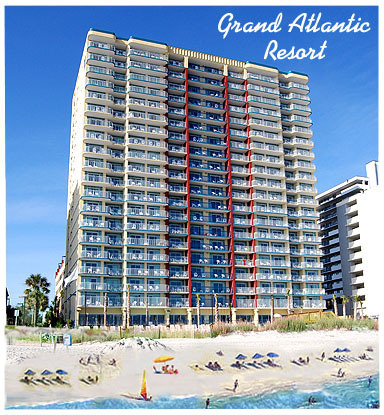 The Grand Atlantic Resort features everything you could want in a fabulously elegant condo complex. With floor plans that offer 1-4 bedrooms, full kitchens, private balconies, windows that provide panoramic views, and laundry facilities, you are sure to find the perfect condo to meet your family’s needs. Prices run from the mid $100K for a one bedroom unit to about $350K for larger condos. A “grand” resort should have “grand” amenities and this one does! 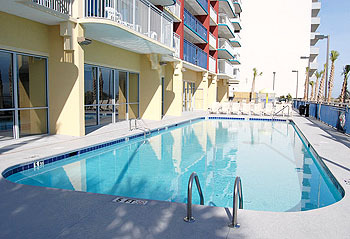 The out and indoor pools allow you to enjoy the water even in inclement weather. Two Children’s Splash Pools keep the kids entertained and you can drift away from all the stresses of the day on the lazy river. The fitness center makes it easy to keep your workout routine so you will look your best on the beach. If you forgot something in your rush to pack, you can replace it at the convenience store and after a busy day, you dine on-site then retire to your private balcony for a quiet moment and a glass of wine. Nearby the airport is a convenient connection. Myrtle Beach State Park, Brookgreen Gardens, and Market Common provide entertainment and shopping possibilities. Incredible golf courses are everywhere in Myrtle Beach with some of the best just a short drive away in Surfside and Pawleys Island. Fishermen are equally close to Springmaid Pier and 2nd Avenue Pier. Visit our website to browse units currently for sale. 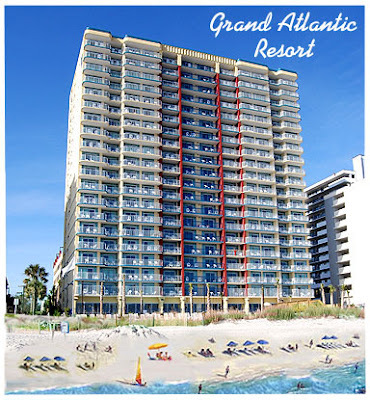 Contact one of our real estate professionals with any questions you may have or to schedule a private tour of the Grand Atlantic Resort Condos for sale.